Fungal infection of the skin (tinea corporis) and scalp (tinea capititis), also commonly known as “ringworm”, is a common infection of the skin. 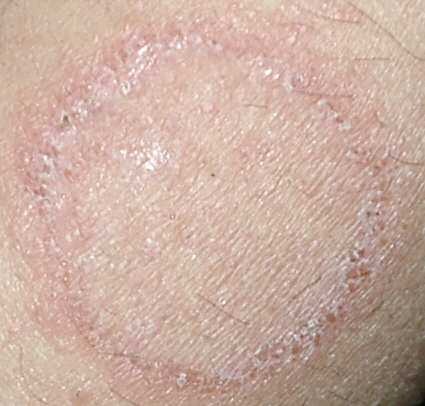 Ringworm typically occurs on the arms or legs but may occur anywhere on the body. It is often mistaken for eczema. Symptoms often include a red, itchy rash that begins as a small red area and may spread to form a ring-shape. When fungus infection occurs on the toenails or fingernails, it is referred to as onychomycosis. Onychomycosis, also known as nail fungus, appears as white or yellowed nails that may be thickened and brittle. Treatment depends on the location, but may include antifungal creams or oral antifungal agents.